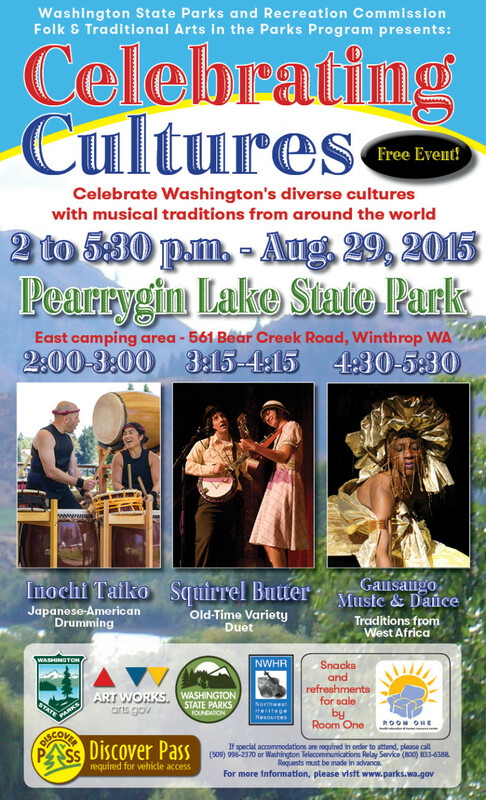 Celebrating Cultures presents three groups on Saturday, August 29th at Pearrygin Lake State Park: Inochi Taiko (Japanese Drumming); Squirrel Butter (Old-Time Variety Duet); and Gansango Music & Dance Company (West African music and dance). This is a free concert, though a Discover Pass is needed to enter Park by automobile. Refreshments available from Room One.